Lag BaOmer is an Israeli festival in small size and celebrated on the 33th day after the Passover. The celebration of it is in memory of an end of a disaster, as well as the death of a Jewish rabbi. In this year, it is started at the sunset of the 13th, May and ended at the sunset of next day. During the celebration, people host a bonfire party at night, while barbecue and parade in daytime. How do these customs come into being? How come the death day of a Rabbi has evolved into a cheerful holiday? The festival is very closely associated with a Jewish rabbi. Mentioning of Lag BaOmer reminds people of him and many other customs are in close relationship with him. He is Shimon bar Yochai (hereinafter referred to as Rabbi Shimon), living in the second century. Rabbi Shimon is the greatest prophet in teaching Jewish law and the author of the Zohar, which has revealed the most mysterious part of Jewish mysticism. 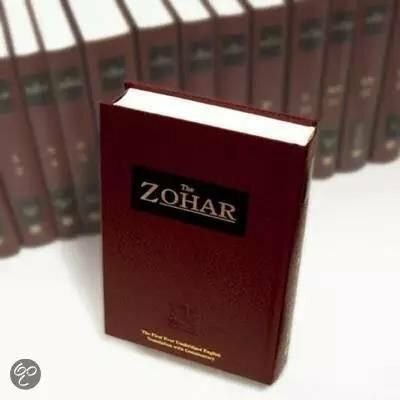 Being filled with Rabbi Shimon’s wisdom and philosophical thoughts, Zohar to Jewish people is in a position to compete with Four Books and the Five Classics to Chinese people. And so far, it has influenced the Jewish nation profoundly. 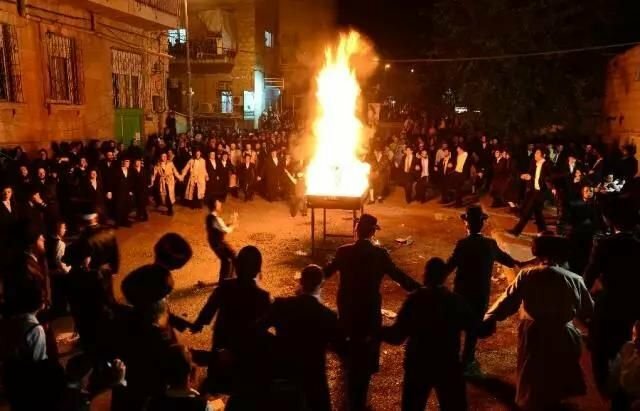 The reasons why Israeli people celebrate this festival at the very beginning can be summarized as the celebration of Rabbi Shimon’s rebirth as well as his death. Firstly, the rebirth. Rabbi Shimon underwent a catastrophic plague when he was a student. The mentor he followed was Rabbi Akiva, a legendary and well-known figure in Judaism. Nowadays，his name is after several institutions and buildings in Israel. Only five of Rabbi Akiva’s followers survived in this disaster, and Rabbi Shimon was one of them. To some extent, Lag BaOmer was set to celebrate the end of this plague and the rebirth of Rabbi Shimon. Then, the death. 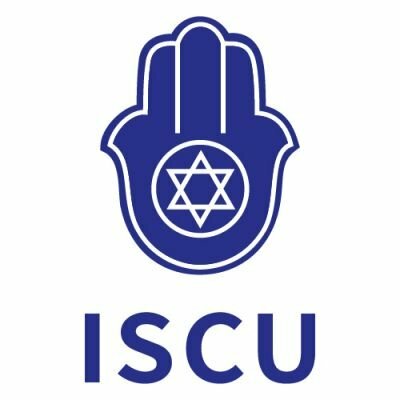 According to Judaism, people will light a candle for the dead person. Rabbi Shimon was an unusually important figure and his works, just like a beam of light, lead the descendants walking through the darkness of their own life. So, a campfire was lit on the day of his death. And this is the second reason for Lag BaOmer. The first thing that people do during Lag BaOmer is to have a bonfire party. 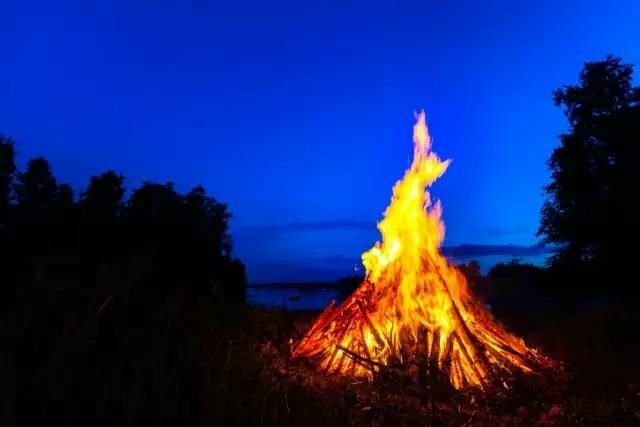 After the sunset of the 13th, various bonfire parties are held across the nation and people will revel all the night. What deserved to be mentioned is that the biggest party takes place in Meron, an Israeli northern village where Rabbi Shimon was buried. Every year, hundreds of thousands of orthodox Jews gather there spontaneously. They light a bonfire and then they sing, dance and drink for a whole night. Why people celebrate a Rabbi’s death date as a festival? Or even ‘make loud noises’ just before his grave? Actually, it is Rabbi Shimon’s own will. He told his disciples the day he passed away was his most joyous day and people were supposed to celebrate at his funeral. Therefore, people followed his instructions and Lag BaOmer gradually become a joyous festival. Barbecues and parades must be an integral part of joyous festival in Israel. During the daytime of 14th, Jewish people will wear their new clothes and colour their faces with patterns. Then they will go to streets and have a parade together. Streets are full of festive people and some of them are professional singers. There are also some street performances by school organizations and other groups. So, the joyous atmosphere is quite ubiquitous. Jewish people believe that parading is a way to show their solidarity and pride of the nation, so each person will join the parade actively. They will also encourage their children to participate in this activity. Just like what they will do on the Independence Day, people will come out of their homes and go to barbecue in parks or along seaside. A lot of organizations, institutions and pubs will have their own barbecue activities to attract people to take part in.